Welcome to Silver & Gold Persians. As the name implies, this website is devoted to my love for animals. We are the home of CFA Vanier Persian Cattery and The Cat Groomer. 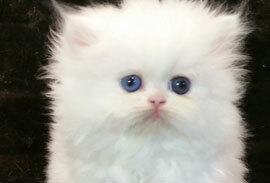 Vanier Persians has been registered with the Cat Fancier's Association since 1994, breeding and showing purebred, pedigreed Persian Cats and Kittens, We offer companion kittens in the colors of brilliant WHITE PERSIAN KITTENS FOR SALE (White Persian Kittens for Sale with Blue Eyes, White Persian Kittens for Sale with Odd Eyes and White Persian Kittens for Sale with Copper Eyes). 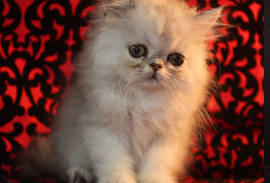 Vanier also breeds adorable SILVER PERSIAN KITTENS FOR SALE and GOLDEN PERSIAN KITTENS FOR SALE with vivid green eye color and eye liner. 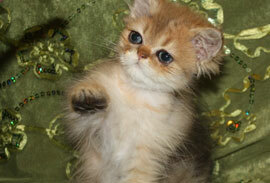 Vanier Persian kittens are socialized at a young age, hand fed and kept in a clean and cozy environment. You are assured of a healthy companion when they leave; veterinarian examined, vaccinated, wormed and come with a 2 year genetic guarantee. The time devoted into each Persian kitten or Pekingese puppy makes a world of difference in your little one's personality and it's health. A small variety of Persians known as TEACUPS are available as companions. 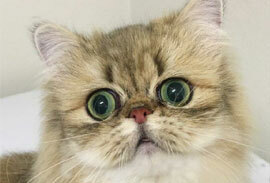 Teacup sized Persians are a separate breeding program from my show cats and come in a variety of colors. Small Persians are not conducive to children, they are difficult to breed and raise and therefore expensive. All companion kittens and puppies are sold to be neutered and spayed. I request that the application on this website be submitted if you are interested in being a prospective parent. We offer a secure form of payment and financing through Pay Pal.